In Love With Handmade: Duels & Deception by Cindy Anstey Blog Tour: Review and Giveaway!! 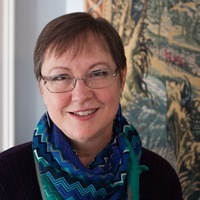 Duels & Deception by Cindy Anstey Blog Tour: Review and Giveaway!! The blog has been rather dead still as of late, but I'm finding that little by little my motivation for blogging seems to be returning, so hopefully I'll return to more regular blogging, even if it's just once a week! Today I've very glad to be part of the Blog Tour for Duels and Deception, organized by the fantastic Giselle from Xpresso Book Tours! 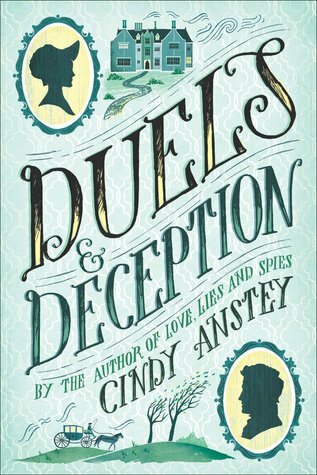 Delightful is the first word that came to mind while reading Duels & Deception, and it was the first word that came to mind while reading Cindy Anstey's debut (Love, Lies & Spies), and both books gave me the same feel of enjoyment and wittiness and effortless charm! This is the story of Miss Lydia, a slightly unusual lady of gentle breeding, and how her carefully plotted plans get thrown a curve ball in more than one way, starting with a visit that she herself requested, from the law clerk that manages the family affairs. Lydia is a lady with proper manners but also a very clear mind and strong character and she doesn't like being not in control of her affairs. I loved how she was not shown as too controlling without any warmth or feelings, just more focused on what she can control. Robert Newton is a young man of good family, but given that he is the third son, he needs to find a way to make his future, and ends up as a law clerk, hopefully apprentice, in a law firm and one that manages Lydia's family affairs. He's focused on his career but also on doing his job well and once he meets Lydia, he finds himself with extra motivation to help the lady, even if he finds himself involved in very unexpected ways! The story has quite a few secondary characters and storylines, Lydia's family and friends, Robert's friend (with his duel issues), Robert's boss and let's not forget Lydia's sort of future husband and none of them felt flat or lackluster. They added character and depth to the main story and a little extra oomph with more humour and/or risk, and they end up intertwining with the main story too! I simply loved the interactions between Robert and Lydia and how they made the most out of even the oddest and less favorable situations, and they really had such a lovely & witty repertoire! Easy conversation and lovely banter! I loved how the ending was resolved and how it went with both society standards (to a point) but also with the character's status and personalities, and it was an absolutely lovely HEA! Charming, witty and above all, delightful! Highly recommended, best enjoyed on a lovely afternoon with a nice cup of tea! Very much deserved 4 stars! Great review, Pili! I like how character driven this sounds, with a lot of depth and substance, too, which is great! Hmmm. I feel like this book was low key on my TBR but if you liked it perhaps I need to make time to read it. It seems like the kind of book I would enjoy. Great review!